Choose “Autotask” from the i) Embedded Thermometer type drop down box. Once you have completed all your Thermometer settings, click the ‘Generate embed code’ button, and a pop-up window will appear. At this point you have the opportunity to choose what data is captured next to the survey responses in your reporting. This is done by entering Autotask variables into the pop-up. We pre-populate three standard variables (as shown above). However, if you wish to capture additional data next to your responses (e.g. 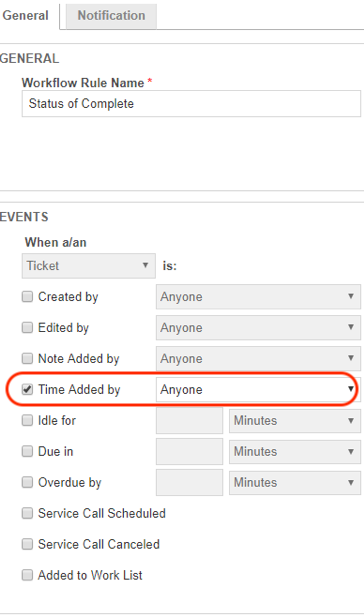 Ticket Number, Ticket Resource, etc) you can simply add extra variables into the empty fields. 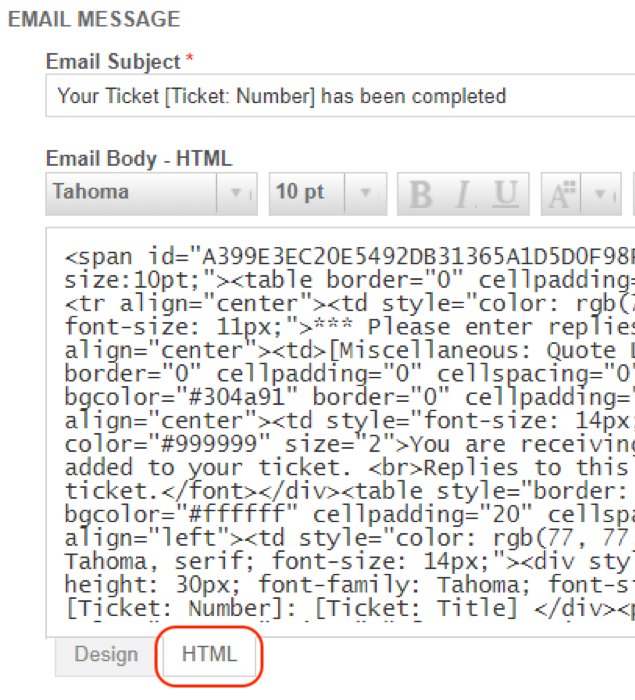 Switch to the HTML tab and insert the variable you’re looking to track into your message temporarily. Then copy the tag and insert it into a custom field within the pop-up screen within Customer Thermometer. Delete that tag from the survey email message and continue with other tags until you have all the variables you need. 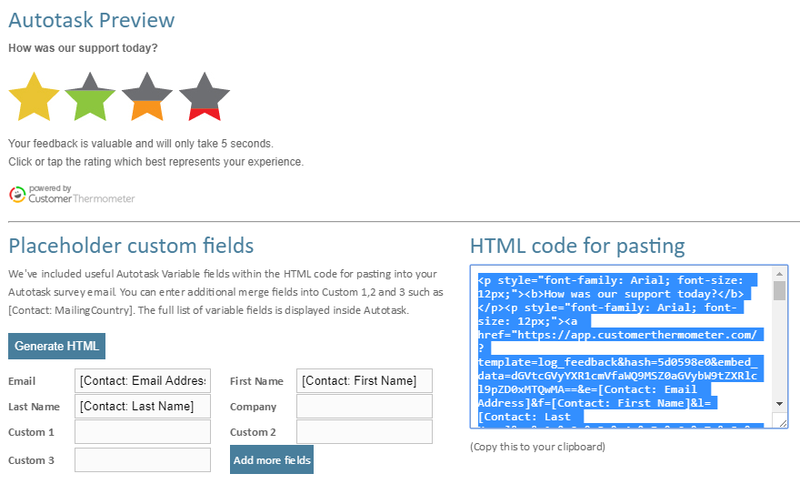 Once you have entered your chosen variables into the custom fields, click “Generate HTML” and copy the HTML code generated. Admin rights are required for this setup. It is important to select the ‘HTML’ tab, not the ‘Design’ tab. Simply paste your Thermometer code into the chosen location within the email (e.g. at the bottom, to form part of the signature). Then save and close your template. You will also need to add/edit your workflow rules accordingly – for assistance, please see our ‘Creating Workflow Rules‘ section below. From here, you will need to name your survey, give it description and enter an email subject. If you need to find additional variables, they are in this area of Autotask, on the right hand side. 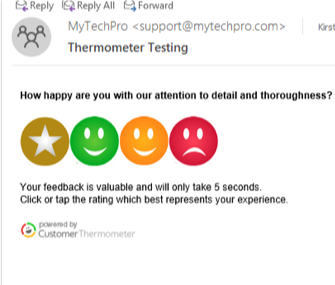 You can then switch back to the design tab to view your Thermometer, and to customise the rest of the email content as necessary. 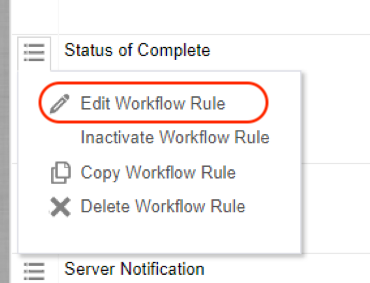 For either method to operate properly, you must create Workflow Rules. 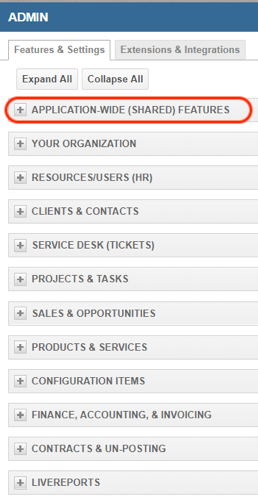 From the top Tab menu, select ‘Service Desk‘. If you don’t already have a Workflow, you will need to create a new one (found at the top of the screen). 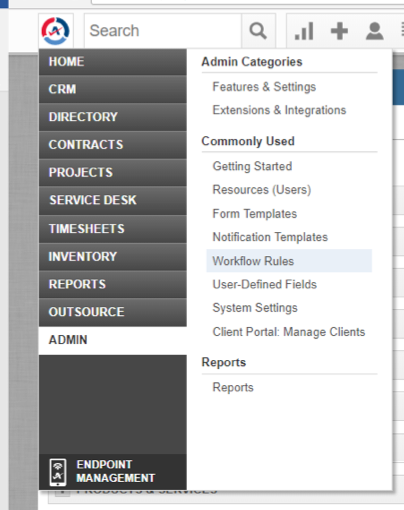 Autotask should be able to assist with setting this up. 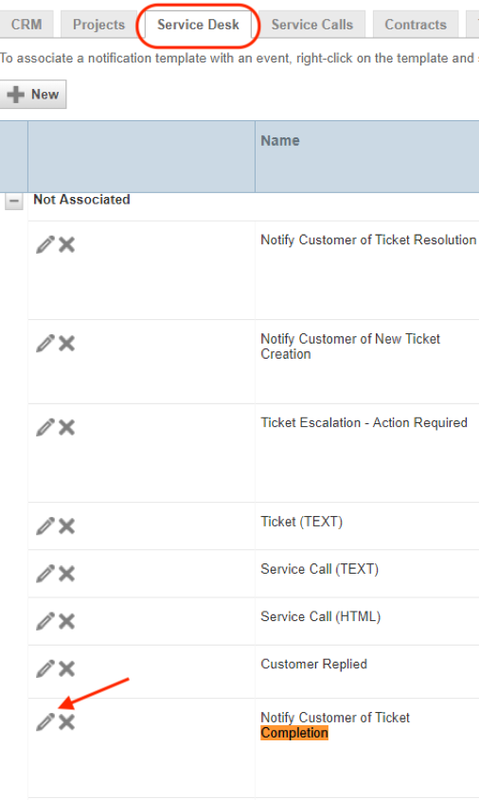 * The ‘Actions‘ element is only needed for Survey Email Messages (Method 2). If you have embedded the survey in a Notification Template (as per Method 1) then this is not needed. 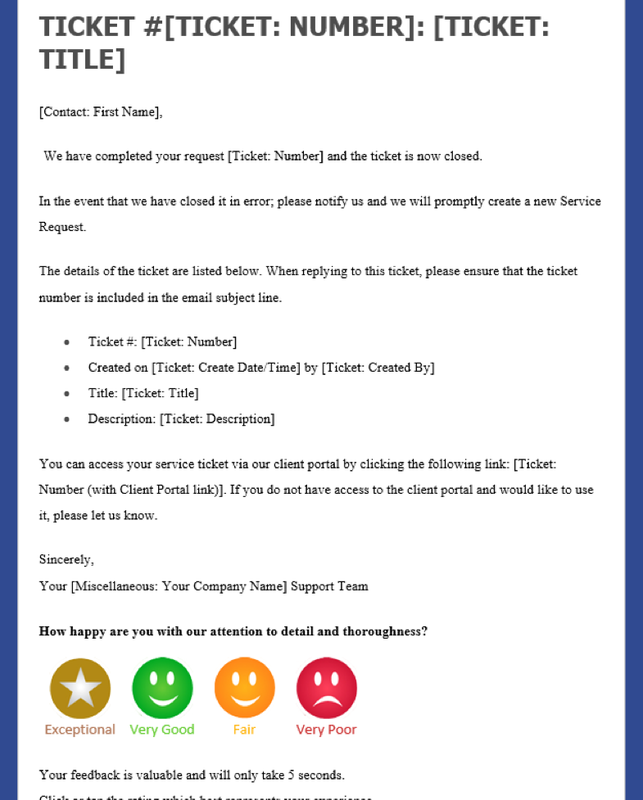 On the same page, scroll down and ensure that the Notification is being sent from a Support or other relevant email address. 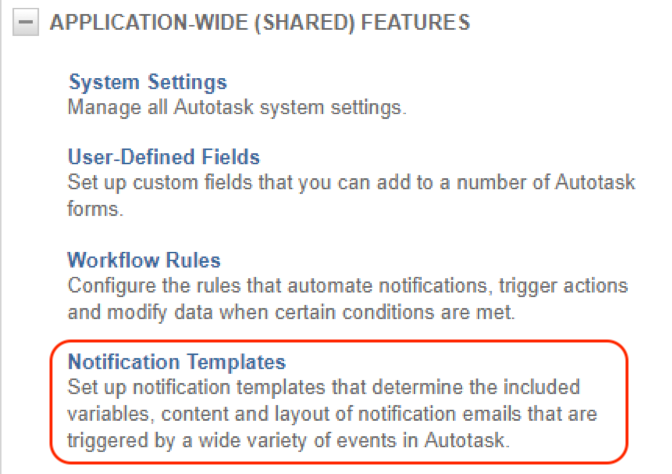 Under ‘Notification’, ensure that the Notification Template is selected (referring to Method 1). 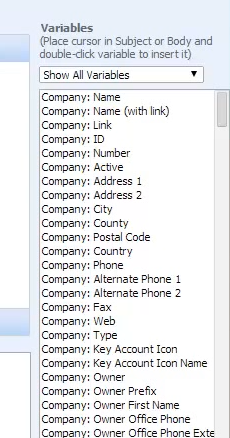 Note: if there is a contact that wishes to Opt Out of Surveys, that should already be checked within Autotask under that contact’s information, and the Workflow will not send the survey email message to that contact. Our thanks go to MyTechPro for kindly assisting with screenshots and examples for these instructions. 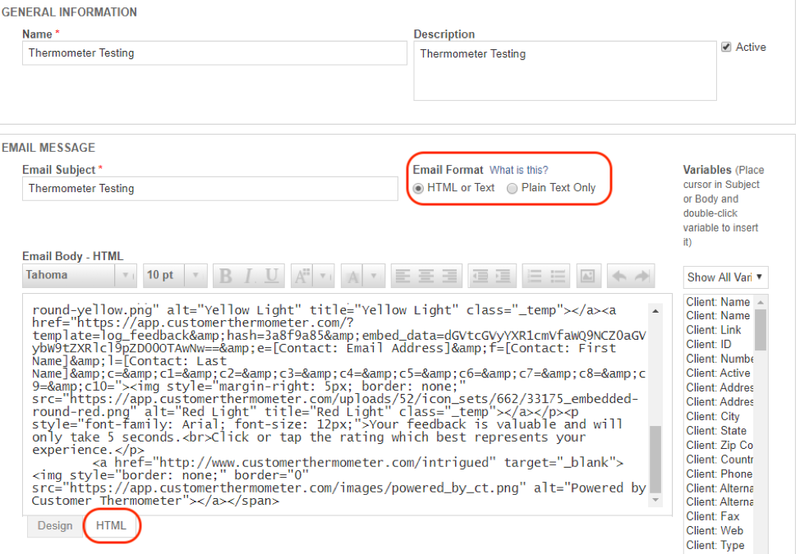 Once you’ve embedded your Thermometer into Autotask, you’ll need to finalize your landing pages. You can enable a comment field, add your logo, customize the wording, and lots more!